A global geopolitical shift has taken place without the wider audience noticing. 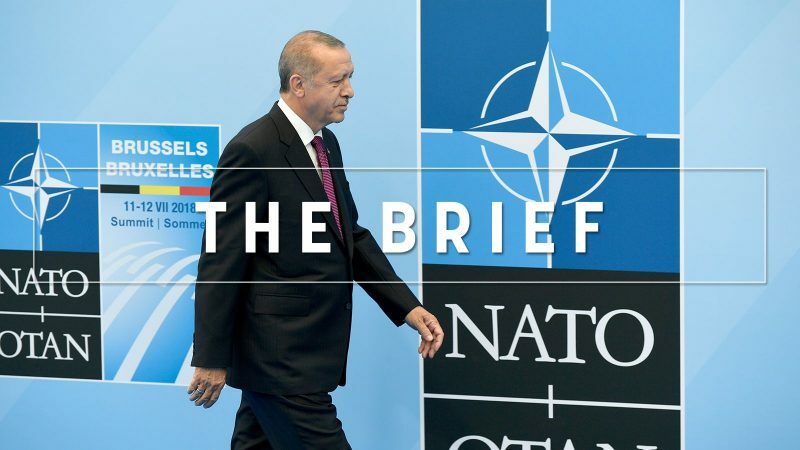 Turkey has drifted apart from the US and NATO, it has got much closer to Russia, and the US is desperately seeking to find ways to fill a huge gap in the strategic Black Sea region. Turkey is still a NATO member. But it has repeatedly said it is committed to buying Russian missile defence system, despite warnings from the United States that the S-400s cannot be integrated into the NATO air defence system. Missile defence is not a small thing. It’s about the very essence of NATO, the alliance of the Western world. The US State Department said that Washington had told Turkey that if it buys the S-400 systems, the United States will reverse its decision to sell F-35 fighters to Ankara. Turkey plans to buy 120 such jets. F-35 is no small thing either. It’s a fifth-generation stealth combat aircraft the US doesn’t sell to anyone. But Erdoğan says he has no plans to ditch S-400, and that he may subsequently buy S-500 systems. The background of US-Turkey relations is quite grim, with Erdoğan accusing Washington of having played a role in the failed 2016 Turkish coup, and of sheltering Fethullah Gülen, the arch-enemy of Erdoğan. In Syria, Trump and Erdoğan have exchanged threats and insults over the Kurdish YPG. On almost every issue, like Venezuela, the West and Turkey are at odds. Conversely, Turkey and Russia are living a honeymoon and to the despair of the US, bank on big projects such as the Turkish Stream gas pipeline project, aimed at bringing more Russian gas to Europe. The US administration is trying to control the damage and thinks of ways to replace the key role Turkey has played in the Black Sea region since the 1950s. Incidentally, while Turkey has made its rapprochement with Russia, Greece has almost simultaneously taken distances from Moscow and has supported NATO in strategic moves such as the Prespa agreement between Greece and North Macedonia. The US has been trying to step up the NATO presence in the Black Sea. NATO Secretary-General Jens Stoltenberg was in Sofia last week. Unlike Romania, which is advocating the militarisation of the Black Sea, Bulgaria prefers to keep military activities next to its shores to the minimum. Former Bulgarian foreign minister Solomon Passy has said recently the Balkans needed US nuclear weapons. He explained that Western Europe had nuclear weapons and that similarly, the Balkans region needed nuclear weapons to guarantee its security. Three days later Russian Prime Minister Dmitry Medvedev came to Sofia. From the little he said publicly, it became clear that Bulgaria would not receive gas from Turkish Stream if the country buys US F-16 jets. These jets are nuclear-capable. Bulgaria also has the option to buy Sweden’s Gripen, which is not nuclear-capable. This is what the dispute about which plane to buy is about. Both Bulgaria and Romania are weak countries and the US has so far been capable of obtaining from them what it wants. They cannot replace Turkey in terms of human and military potential. But the EU should be aware that the US will do everything to have faithful allies in this corner of Europe. In this morning’s The Capitals, you can find out about the comings-and-goings in Slovakia’s presidential election, as well as the rest of the news-you-may-have-missed from across Europe. In a developing story, a manhunt is underway in the Dutch city of Utrecht after a gunman opened fire on a tram, killing at least three people. The mayor has not dismissed the possibility it was a terrorist attack. Local and regional leaders want to rebuild the EU from the bottom up. Beatriz Rios was in Bucharest to report on how decentralisation might be the way forward after the UK is finished with Brexit. We’re due for another week of UK parliamentary madness, so brush up on what happened in last week’s latest instalment of Brexit the soap opera before the next episode airs. Fresh sanctions on Russian businesses and citizens ahead of the fifth anniversary of Moscow’s annexation of Crimea have provoked cries of “hypocrisy”. Anti-government protests in Serbia continue to rage. And former UK leader and current radio DJ Nigel Farage failed to attract much interest for his ‘March for Brexit’ this weekend. It involved a walk along a coastal path, presumably towards a cliff edge. The production of ‘green hydrogen’ from wind and solar electricity could be a potential game-changer for the transition to a 100% renewable energy system. But getting there will take time and some intermediary solutions, says Daan Peters. The General Affairs Council talks long-term EU budget planning while a stocktake of EU-North Macedonia relations will be made at a stabilisation and association council. Keep an eye on the UK, where a key vote, which may or may not take place, will determine the UK’s future in Europe.